Children’s Cancer Foundation Presents Ten New iPads to Renown Children’s Hospital. 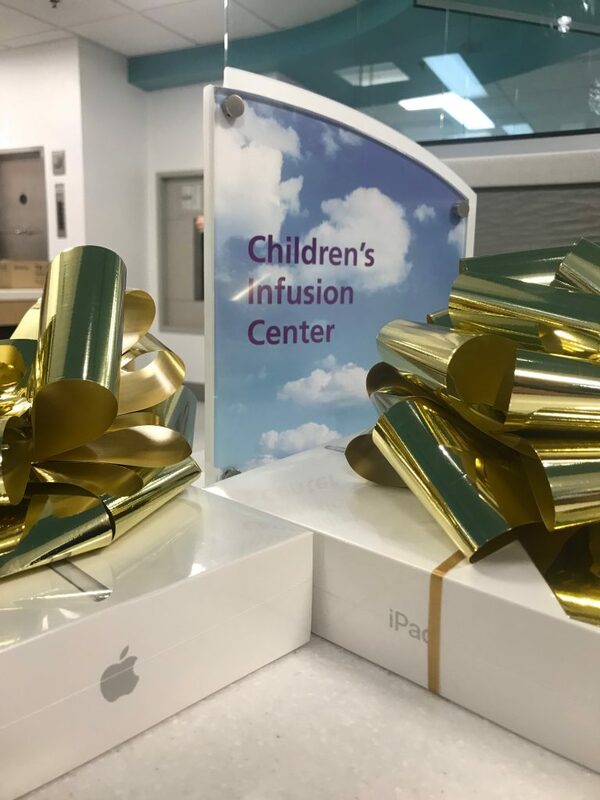 (Reno, NV) – The Northern Nevada Children’s Cancer Foundation (NNCCF) presented ten new iPads to Renown Children’s Hospital for their new infusion center on Thursday, June 7, 2018. One iPad was supplied for each seat in the infusion center, fulfilling the demand for electronic devices. 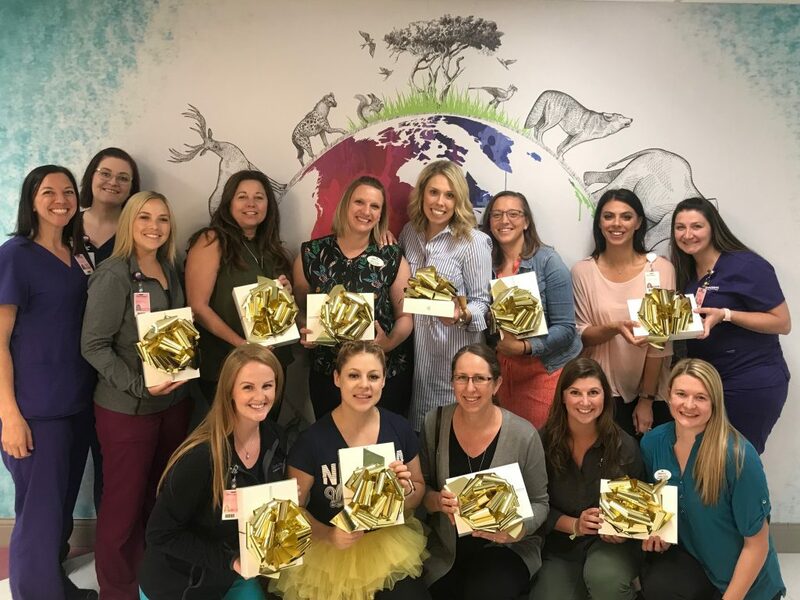 In addition to providing patients an activity during their infusions, the child life specialist team at Renown Children’s Hospital can use the electronics for distraction during procedures. NNCCF supplied the electronic devices and protective covers as part of their E-SMART program (formerly known as E-Kids), providing education, scholastic materials, achievement resources, and technologies, to children affected by cancer. Through generous donations to this program from The Reno Rodeo Foundation and Fraternal Order of Eagles, NNCCF was able to supply the new 9.7-inch, 128GB, iPads to the infusion center.